Remember when I blogged about the Figs & Ginger Earth Day Giveaway? My earrings and necklace just came in the mail! Sooo cute! I love them! Thank you Figs & Ginger! You rock! what is the item pictured last? oh that is just a card that came with the jewelry. 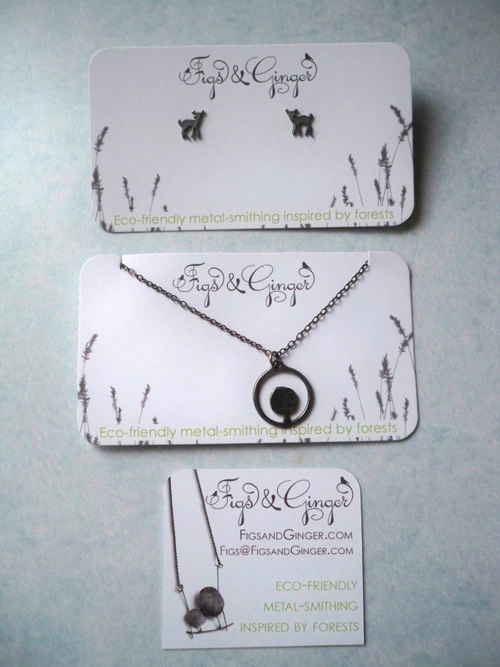 - looks like another necklace but it is printed on the card. i had placed a big order with fig+ginger for nook at the jan gift fair. then i had to make the decision to close the store and cancelled the order. *sigh* i love their stuff. Marc - gahhh! One more reason to miss nook!